I've got environment maps working and I give the option to have a more accurate SSR now with some more jitter. Are the environment maps static ones (cubemap textures) or are they rendered from the objects point of view which then uses the environment map? Hi @kosmonautgames.. the engine is turning out really awesome!! I would like to know that if want to display a 2D video buffer created with a Depth Rendertarget. Which would be the best place to render it in the Engine with your existing render targets. I don't understand what exactly you are trying to do? Play back a video? @kosmonautgames.. Ok.. Let me put it in this way.. I have a 2D Texture drawn on RenderTarget with depth information. How can I compose my renderTarget with the final output of your Engine. I am trying to have custom RenderTarget which has to be drawn with your final Rendertarget before the output is drawn on Screen. first of all, you can press F1 to go through my current render targets - color, normals, depth, light etc. If you want to blend your output into it you can change the blendstate when calling the function. I have done some exploration in your code. Actually I have a Video color Pixels with depth info for each pixel. 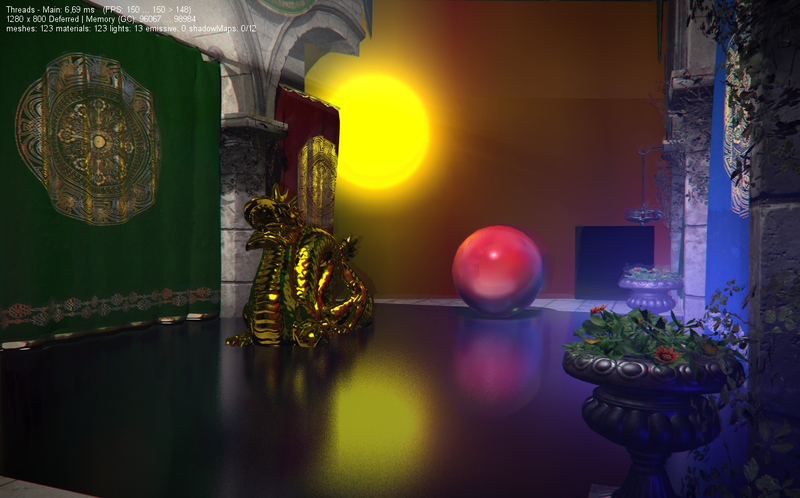 I am currently drawing the Color & Depth Textures in after setting the GBuffer RenderTargets. I am able to see the Color data with AlbedoMap and Depth data with DepthMap Rendering. I can not see the colors pixels when I switch to Deffered Rendering. What I want ultimately achieve is My Video Pixels should occlude or overlap the 3D Objects based on Depth information passed on each pixel. I did this before with my other applications,but here your finalRenderTarget does not contain any DepthStencil information. So I wonder how and where exactly I should integrate this depth based video rendering. I am really SORRY if you got confused. But I would really like to see how my existing application works with your engine. I'm still not 100% sure I understand how it will look like, but you want to the finalrendertarget to have a depth buffer so you can render additional stuff, right? But you would have to reconstruct from a linear depth buffer and not the z/w used in the example. And of course give the final render target a depthstencil property. Maybe this would be the issue.. I am having Linear Depth buffer which is single float. Let me try it and let you know. I wanted to optimize my lighting with stencil culling when unforseen problem arose. I have a curious bug now, and I have no idea what changed. Basically when i draw 1000 lights my FPS will go down to 70. Which is odd, since they used to be at 170. That's not the issue, the issue is that even if I have many times the resolution the frames will still stay at 70. It doesn't matter whether I draw at 100x100 or 1920x1200 or 3840x1200 (in all of those cases previously the framerate would have stayed above 70, so that's fine). Even if i change the pixel shader to be a one liner, (return float4(1,1,1,1) ) my frametime barely changes. My vertex shader is as simple as it gets, too. And it doesn't make a difference either if I just return hard values instead of calculating anything. I then changed the light mesh to be a cube, so only 8 vertices. No difference. Lighting scales linearly with pixels covered usually and I wonder why it doesn't any more. If I turn away from the lights the scene will render normally - that is 1000 fps at low resolution, 200 fps at high resolution. Makes sense since a lot of the stuff is pixel shader bound. Soooo is it a CPU problem? Possibly, if i check performance profilers it turns out that over 50% of the work goes into the _graphics.DrawIndexed function, afterwards I can't trace. But nothing changed here, I am 100% sure. I still use the same mesh and it doesn't matter whether or not I pass the shader variables etc. and I get the same results. Doesn't matter if lights have volume or not, framerate stays. So I would guess it is outside of the program. Maybe some windows thing? I have no clue. Really confused. I have checked my processor clock rate and it's normal. No powered-down state I believe. Can I linearize the depth buffer in your Engine's GBuffer shader? 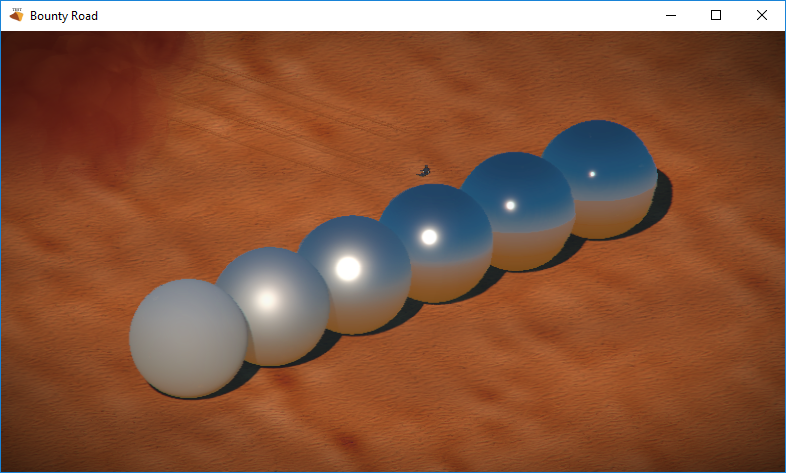 Will it side effect the lighting and shadow mapping shaders? I want to render only the pixel which is nearer to Camera. So the final RenderTarget will have a merged color data from both buffers. This is my ultimate requirement, Please give me some suggestion. OMG !!! Have you changed it in new version..
Let me check the shaders of your new one.. I am using your old version code since it gave me higher frame-rates.. I have got it working nicely after making these 2 params as FALSE. I don't want the reflection at the moment. I can enable it later on.. Thanks a lot, I will integrate with new one and let you know..